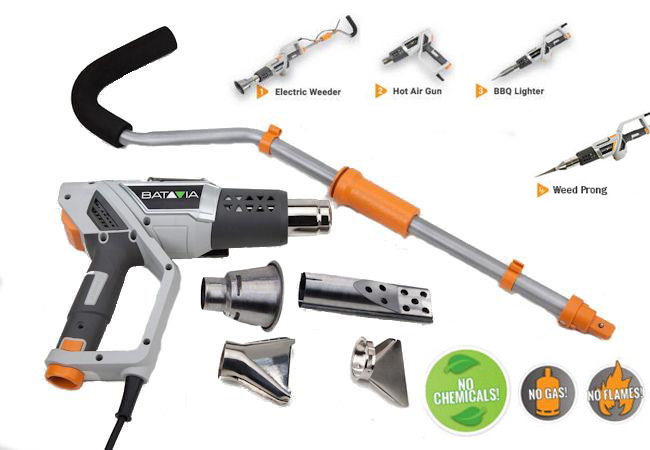 From Batavia this is a useful 4-in-1 combi-tool that can be used as a Weed Killer, a Hot Air Gun and a BBQ Lighter! 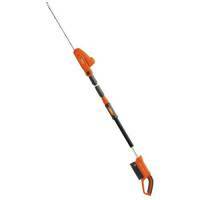 The Maxxheat package includes a telescopic pole that is ideal when used as a weed killer. The pole can be easily removed for the other uses of the Multi Heater; the Hot Air Gun and BBQ Lighter. When used as a Weed Killer, no Gas, Chemicals or Flames are used - the weed is subjected to a 600 degree blast of hot air - enough to kill even the most stubborn weed. This really is the ideal solution as the Maxxheat is always ready to use - no additional chemicals or gas are required. This makes it very environmentally friendly. 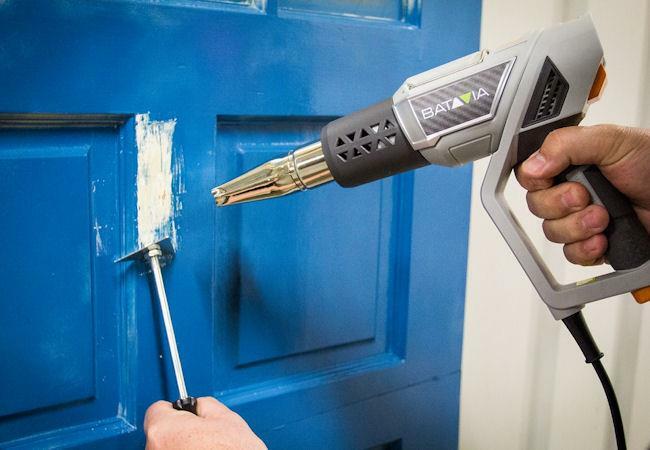 The handle of the pole can easily be clicked on the Hot Air Gun (click & go). 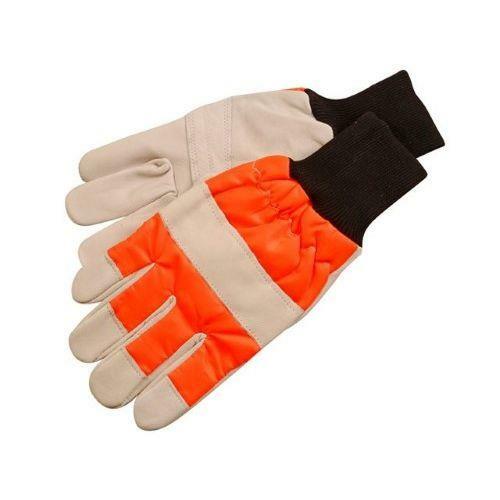 Really practical and a perfect combi-tool for around the house. This combi-tool offers an advantage to every consumer and is a real problem solver. NEW! 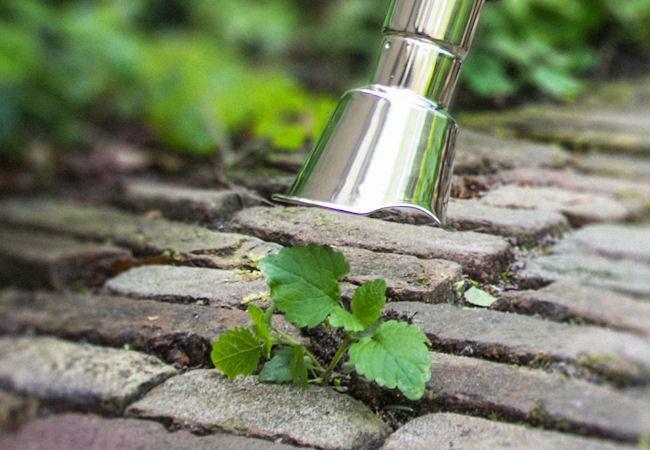 Stainless Steel Heating Pin for specific targeting of weeds underground; no brown spots in the lawn or collateral damage within the flowerbed or vegetable garden. 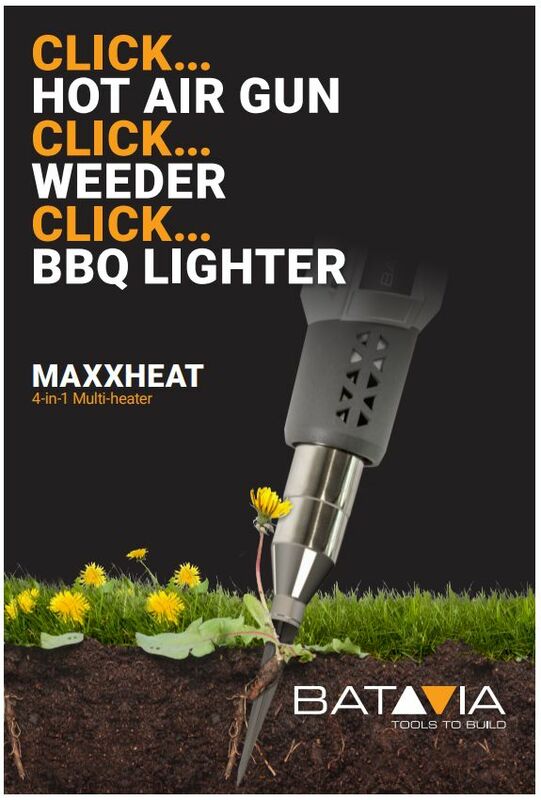 Frequently Asked Question: Does the MaxxHeat burn the weeds immediately ? By exposure to high temperatures, the plants protein is coagulated in the weeds, and the cell walls are disrupted by the expansion of the cellular fluid. Immediately after the treatment, the plant can therefore still look undamaged, but after a few days it will desiccate This process not only provides a short-term weed control, but also achieves a long-term effect . * Weed Killer, Hot Air Gun and BBQ Lighter! 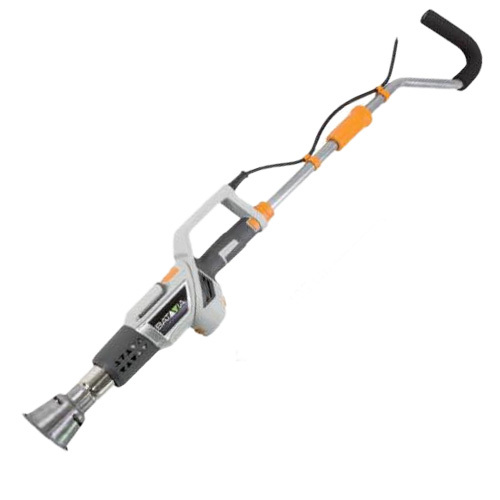 Feedback for Batavia Maxxheat 2000w 3-in-1 Weeder / Hot Air Gun / Lighter has been compiled from 9 reviews, with 12 reviews of additional products available to order with it. This was bought for my elderly dad to clear his garden paths. He is more than happy with the product. I have just started using this weeder as where I live has had wet / damp weather and the instructions recommend avoiding damp conditions. PARASENE Professional Weed Wand incl Trolley - ON OFFER! !